Dr. Marcus A. Whitehurst is the Vice Provost for Educational Equity at The Pennsylvania State University. 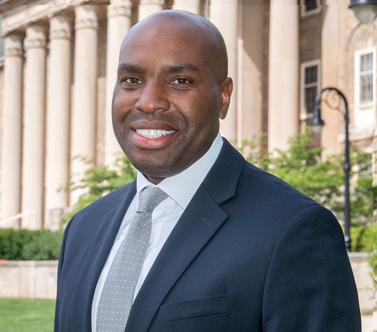 As Vice Provost, he oversees several units and works collaboratively with a number of offices both within and outside the University, with a goal of ensuring that diversity, equity, and inclusion are central to the success for a diverse body of students, faculty, and staff at all Penn State campuses. He is also responsible for coordinating the efforts of the Fostering and Embracing a Diverse World section in the University-wide strategic plan. In addition to ensuring support for staff, undergraduate and graduate students, and several University commissions, as Vice Provost he works closely with the University Faculty Senate and individual faculty members to promote research, international exchanges, and partnerships. 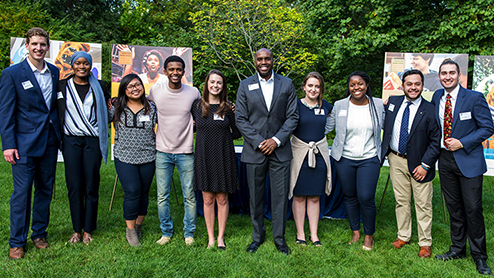 In other University service, Whitehurst chairs the Administrative Council on Multicultural Affairs (ACMA) and the Campus Environment Team (CET), and serves on President’s Council. He collaborates with the three President’s Commissions for Equity: the Commission on Lesbian, Gay, Bisexual, Transgender, and Queer Equity; the Commission on Racial/Ethnic Diversity; and the Commission for Women. Previously, Whitehurst chaired the annual Dr. Martin Luther King, Jr. Commemoration Planning Committee, collaborated on the University’s A Framework to Foster Diversity at Penn State: 2010–15, a five-year plan to continue to build a diverse and equitable institution, and oversaw the Educational Equity Endowment Scholarship Committee. With more than twenty years of experience, he has served in several capacities at Penn State, including Assistant Vice Provost for Educational Equity, Director of the Multicultural Resource Center, and acting diversity advocate, overseeing University initiatives to help improve the campus climate, as well as liaison for individuals reporting incidents of bias. Whitehurst holds a Ph.D. in educational theory and policy and an M.Ed. in higher education administration from Penn State, and an M.A. and a B.A. from Binghamton University, New York. He has completed several post-doctoral training programs and taught courses in African and African American Studies and Language and Literacy Studies.